John and the family made it out to thank the NH State Troopers team as the rafts came in. 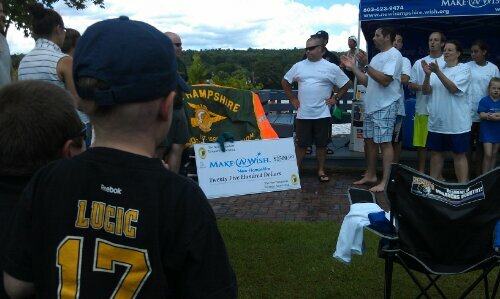 Make a Wish raised over $70,000 with the Rafting for Wishes Challenge, many kids will get their wishes filled on that! The Laconia Muskrats game was super fun! 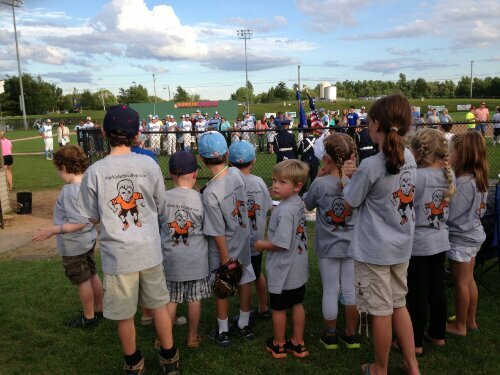 The kids got to throw out the first pitch and play games in between innings! Thanks to everyone who came out to support. ← HUGE POWER FROM MINNESOTA! What an awesome homecoming! You are so loved! It was so good to see your smiling face and get a hug at Make-a-Wish on Friday! It must feel awesome to be home! You are surrounded by your amazing family and you can feel the love and support you have for each other just being in the presence of them! Welcome home John and Alison!